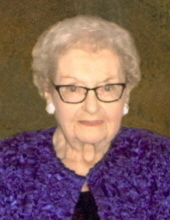 Mildred Pardo Pruitt, 95, passed away January 27, 2019 in Summerville, S.C. She was a former resident of Louisville, Ky and Bedford, Ky and the daughter of the late John D. and Mattie Morgan Pardo. She was the widow of Roy Wilson Pruitt. She received her formal education at Trimble County High School, Nazareth College, Spalding University and University of Louisville. She leaves behind a legacy of years of service to others in fundraising and charity efforts. She worked with banks, county extension agents, newspapers, large businesses and non-profit organizations. She served as secretary to Barry Bingham, Jr., former owner and publisher of the Courier-Journal. After retiring she volunteered in many activities relating to fundraising for disabilities caused by mental retardation and mental illness. They included, Cedar Lake Lodge, Bridgehaven Center and Dreams With Wings which she founded as a board member. She served as president of the local chapter of International Association of Administrative Professionals. Her survivors include step-daughter Greta (Johnny) Jones, grandsons Michael (Brooke) Jones and Stephen (Casey) Jones, three great-grandchildren and several nieces, nephews and cousins. To send flowers or a remembrance gift to the family of Mildred Pardo Pruitt, please visit our Tribute Store. With Reverend Jeff Bramel officiating the services. "Email Address" would like to share the life celebration of Mildred Pardo Pruitt. Click on the "link" to go to share a favorite memory or leave a condolence message for the family.